WE'RE ALL READY TO GO!! LET'S GET GORY!! What's the relevance of the photo you may be wondering? Well, it was taken at St. George's Hospital in Tooting, London on Friday 7th July 2017 - with a beautiful sky above. I was there for a 6 month check-up and all was well. I got there early and recorded the links for one of my episodes of THE SHY LIFE PODCAST - in fact it was episode 94, which I will be telling you about in a moment. THE SHY LIFE PODCAST - 94: TEA WITH TAFFY!! Here we are for episode NINETY FOUR - where this time Paul speaks with another member of Pride48 Royalty, Taffy Carlisle Huffington from Pod Is My Co-pilot and talk about many of her favourite things. The regulars also call in and - of course - there are also a few poems! Our next episode, number 94 - will be an extended edition of our 11th Pride48 show which is happening at 4pm (EDT) / 9pm (GMT) on Sunday 16th July 2017. Do join us, won't you?! Please email me at shyyeti@yahoo.co.uk if you have any comments - you can even send me a sound-file and I'll include it on the show. The music is by Shy Yeti and Luca. All content of this episode is Copyright Paul Chandler, 2017. Episode 94 was recorded on the 7th July 2017. Before we move on - I'm in a position now to tell you all about the next few episodes leading up to our grand episode 100... As follows!! Please note: All titles are currently provisional until time of release. Mr Yeti chats with friends about the times where fact and fiction blend together during creative projects. Special guests: Nick Goodman and Toppie Smellie, plus others. Paul and co head to Bettina's for dinner at her beautiful country home - will they finally get to meet Bettina's mysterious boyfriend, Nathan? In which Bettina and Tappie are finally united on the island of Jersey; we also hear from lots of other former guests - meet an antique dealer named Brocante and there are also a number of major revelations!! 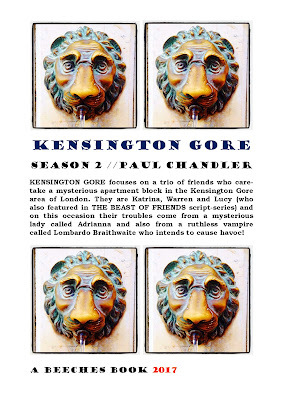 KENSINGTON GORE focuses on a trio of friends who care-take a mysterious apartment block in the Kensington Gore area of London. 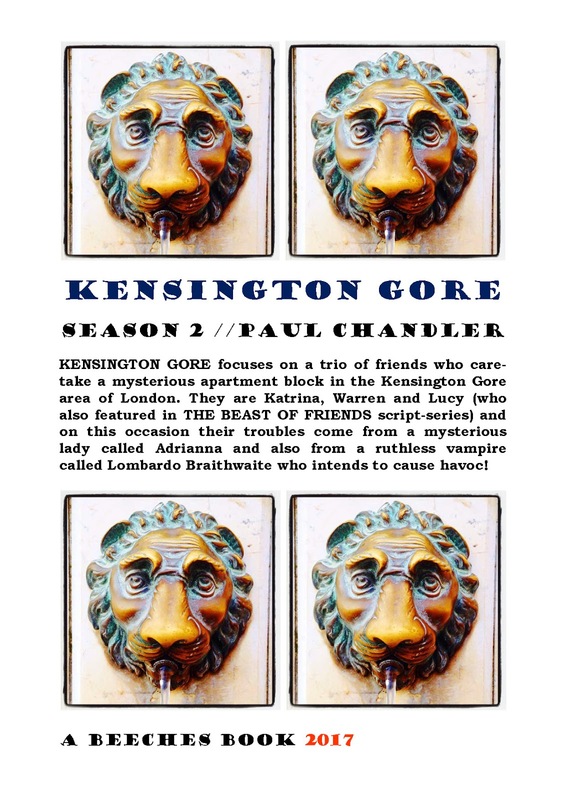 They are Katrina, Warren and Lucy (who also featured in THE BEAST OF FRIENDS script-series) and on this occasion their troubles come from a mysterious lady called Adrianna and also from a ruthless vampire called Lombardo Braithwaite who intends to cause havoc! Lucy fights for her life, but rescue comes via a huntress… Warren and Katrina pay a house call on a new resident whilst ignoring two old friends reunited in one body. Lucy has a visitor but is in for a shock when she later goes to see Jack in hospital. SCRIPT 3: BACK TO NORMAL – WHAT IS NORMAL? Lucy and Jack entertain Lucy’s mother – Helen, whilst Warren and P.J. swap sob stories. Katrina shows Adrianna around the new flat and Copernicus is given another chance by his colleagues just as Jack and Lucy meet their guardian angel. Adrianna learns that it is sometimes possible to trust a stranger… Warren sees Katrina’s statue photos – then the two of them speak to an old friend. Meanwhile Jack is absent, whilst Lucy goes on a mission, much to Helen’s dismay! Lucy gets out of a sticky situation by choosing the most obvious method of escape; her problems aren’t over, but Ashley may help her. 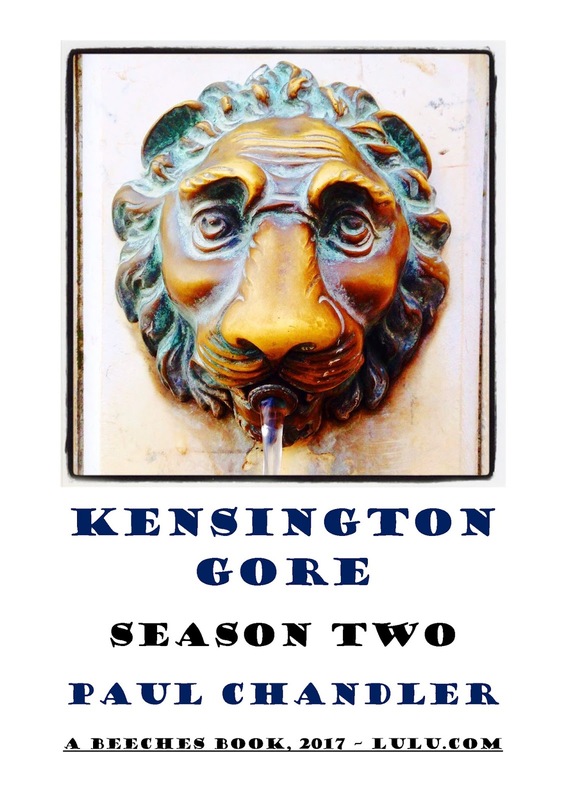 Meanwhile, Warren and Katrina are drawn into further troubles when Adrianna moves apartment. Next week I'll be away with Calum and his mum up in Dunbar - taking lots of photos - recording a new podcast and probably writing something for the blog. Hopefully I'll be sharing the fruits of that trip the following week. Can I help you? Have you come to see one of the patients? Err, yes… Is that allowed? In most cases, yes… One or two of the patients are only allowed to see close family – but most can see friends too… It’s nearly the end of visiting time, I’m afraid – but you have ten or fifteen minutes… Who is it you’d like to see in here? Of course, you are… I’m so sorry – I don’t know why I even asked – I should have guessed! I can see the family likeness between the two of you… Bless you! Err… You can? I’m sorry? The likeness between myself and Mr Archer? Why, yes! I’m afraid he’s had a pretty tough day! He’s had no-one in to see him at all, so a visit from you is probably just what he needs… Follow me! (Lucy nods, confused – following her across the ward) Mr Archer! Your daughter is here! I’ll leave you to it – don’t wear your dad out now, Lucy… Ten minutes – no more! I’ll come back for you when your time is up, alright? Sure… God, Jack… How did you get like this so quickly? I mean – I heard what you said before but I never really believed it until now… I’m sorry… Jack? Did you find it? Did you find the elixir, Lucy – or did he get it? Someone has… It’s gone… It wasn’t there… Do you really think Paddy found it?